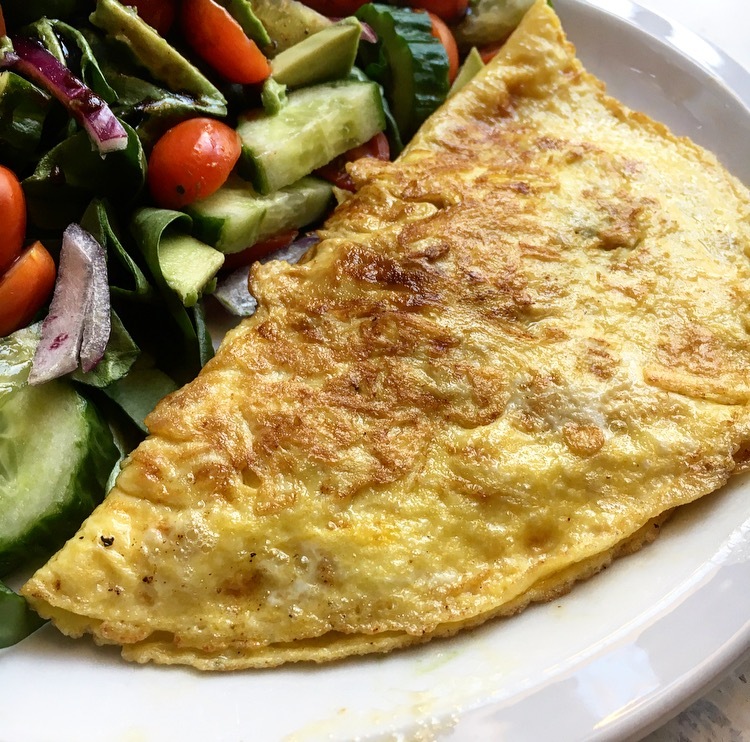 Okay, the title is hyperbole – it’s a big claim to say that you can tell someone how to make the perfect omelette, and I’m still learning. I suspect that it’s one of those things that you can work your whole life to perfect. 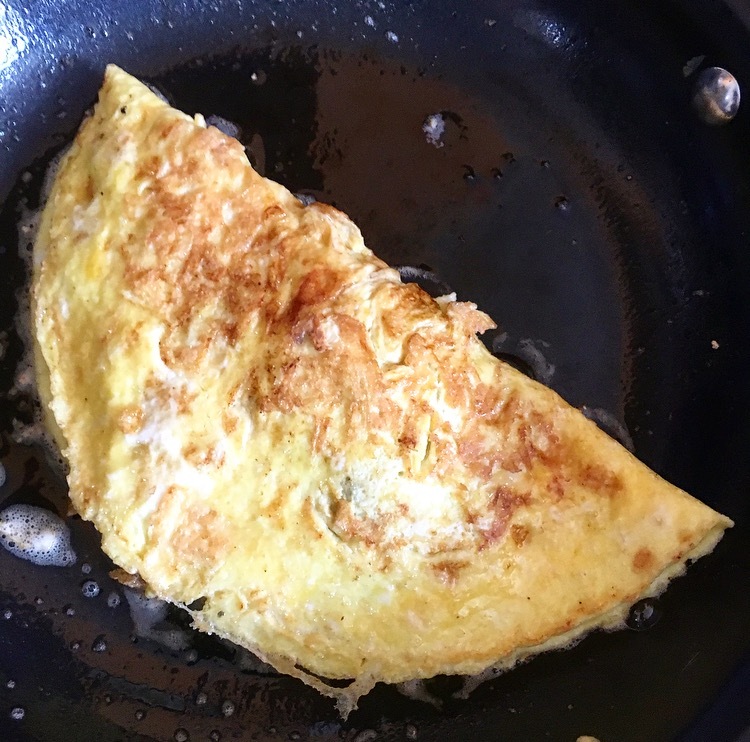 But this is as close to perfection as I’ve gotten it, and since I’ve reached new-to-me heights of omelette perfection, I thought I’d share. 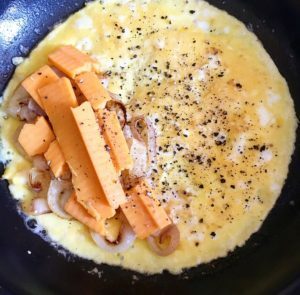 My go-to version is a fried onion and cheddar cheese omelette, but you can do any kind of fillings you like; the varieties are endless, and it’s very much about personal taste. This one is my staple because I always have cooking onions and cheddar kicking around, but a nice mix of fresh herbs, fresh green onions, or a million other things would be just as good. Anyone who’s ever had lunch at The Only Cafe in Peterborough knows that there are endless, delicious varieties, and that a good omelette is always best with a lovely side salad (topped with Mom’s Dressing, it was absolutely a staple of my teenage and university years, along with their terrible coffee). Some other favourite variations are cherry tomatoes, fried with a minced clove of garlic and then melted cheese on top, or red peppers, also fried with a minced clove of garlic and with feta cheese. The fillings are a good opportunity to experiment! In a non-stick pan, place enough butter to coat the pan when it melts. Melt butter on medium heat. Fry onions in butter until browned and fragrant; add salt and pepper to taste. Remove onions from pan; wipe pan clean. Crack 2-3 eggs in a small bowl or mug, and beat with a fork until they are as blended as possible. Ideally, they should look like a homogenous, creamy yellow mixture. As the butter is melting, tip the pan to coat the bottom and the sides uniformly. 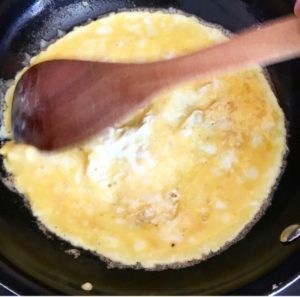 When the pan is hot and coated in butter, pour the egg mixture into the pan. With a fork, chopsticks, or other kitchen tool, gently whip the egg mixture without touching the bottom of the pan. 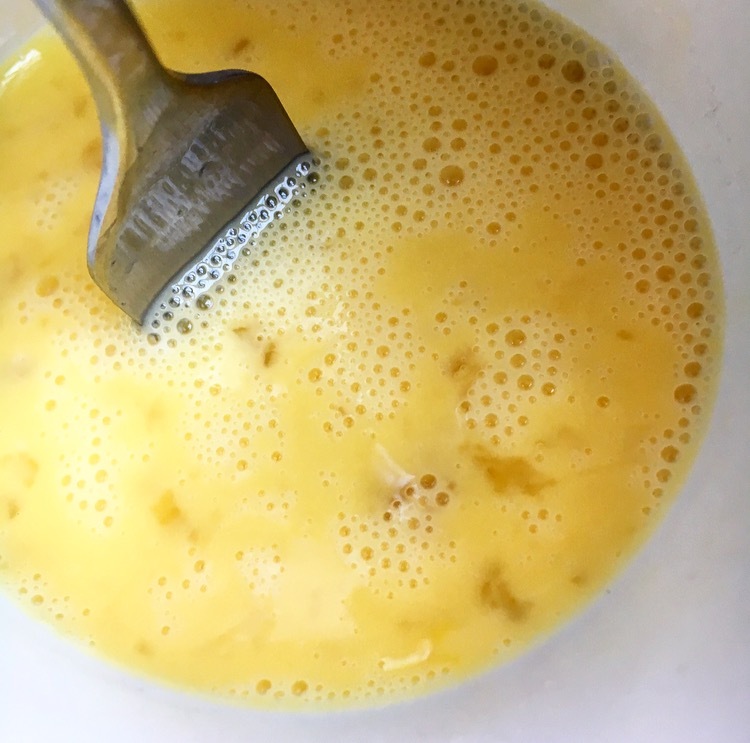 Continue to whip as the mixture solidifies, until most of the egg is cooked. Place fried onions and cheddar cheese on one half of the omelette; using a spatula, fold the other half of the omelette over top of the fillings. Allow to cook for a minute or so on one side, then flip. Allow the other side to cook for a minute or so, then plate, allow to sit for a few minutes (let the cheese finish melting), and eat! You can find more delicious and easy recipes on my Family Recipes page!